Playing with Trains: Discovering Railways of the World Card Game! Over the years I’ve ran across the mention of “train games” over and over, and I always thought to myself “Train games? Like Ticket to Ride and Transamerica… sure, I’ve played those”. Somewhere along the way I started to realize there was a whole world of games I was missing out on. Delivering goods, laying track, running locomotives, buying stock… sounds interesting. I was running across phrases like 18xx games and crayon rails, which a quick Wikipedia check are listed as some of the primary varieties of train or railway games. With my curiosity peaked, earlier this year I decided to explore what train games have to offer. Now, here’s the thing about complex sub-genres of board games. The enthusiasts in these fields are often very passionate and have a slew of favorites and recommendations, usually on the more complex and lengthy side. But that’s not what I’m looking for. I like to play games that offer a lot of variety and depth, but don’t have a complex learning curve or take hours to play. My dabble into wargames started and stopped with Memoir ‘44, which is probably not considered a wargame by most enthusiasts, but fit the bill for me and has grown to become one of my top 3 games of all time. So I set out to try to find my “Memoir ‘44” of the train game genre. ﻿﻿I discovered a trio of games that seemed to be what I was looking for: Age of Steam, Steam, and Railways of the World. I had no idea which of those three to start with, or what the differences between them were. However, I had been hearing great things all over the internet and podcasts about the Railways of the World Card Game . Railways of the World Card Game is published by Eagle Games and designed by James Eastham and Steve Ellis. We know Steve, and he's an all around great guy who owns our very favorite game store, Rainy Day Games in Aloha, Oregon... so it seemed like a perfect place to start! If Steve says a game is good, we are never disappointed. With great reviews, co-designed by a cool guy who's taste in games is right up our alley, and a very reasonable price tag, it was basically a no-brainer to pick up Railways Card Game. And I'm SO glad we did. Yay, trains! We started out with Railways of the World Card Game , which is an amazingly deep and satisfying train game experience. The basic gameplay revolves around collecting track cards, city cards, and locomotives, and then using these cards to create a network of connected cities and delivering goods between them. As a first introduction to the train genre, I feel like it included all of the things I was looking for and more. There is a good level of tension and decision making throughout this game, with many opportunities to develop varying strategies and score points. For example, you can build complex networks and focus on optimal deliveries of goods, or you can compete for city control by building a lot of tracks into key cities, or you can just rake in the points by building long high value links. There are a lot of considerations and ways to earn points, but it never feels like the game slows down because there is too much to consider. The game has a nice flow to it; with many different factors working together to deliver a different experience each time. During our first game, Randy and I each built our own long sprawling train networks on opposite sides of the board, and had very little competition for points and goods. Since then, we’ve become increasingly more competitive as we learn new strategies and tactics to increase our scores and gain an edge. I can’t help but pay attention to the cities he’s laying track into, the goods he is adding, and the opportiunities to jump in there and swoop some points out from under his nose! This game has a lot of replayability, and is has considerable depth for a small package! We were having so much fun with trains, so Randy got me Steam for my birthday (it was the only one of the three that was in stock at our friendly local game store). ﻿We’ve played Steam once and thought it was an interesting game, but with Railways of the World Card Game I feel like we may have already found the perfect train game experience we were looking for. Every time we think about sitting down to play another game of Steam, we end up pulling this one out instead. We’ve packed in along to the park and the coffee shop, something we couldn’t easily do with a big box train game. I feel like Railways Card Game is a perfect introduction to this genre because it uses many of the same concepts and terminology as other train games. It’s a simple game to learn, with emergent complexity that offers a high level of interaction and rewards strategic playing. I highly recommend trying out this game, and think it makes an excellent entry point into the world of train games. I really think as we continue to branch out and explore the genre, this will remain a favorite because of its strategic depth, portability, reasonable play time, awesome “kids” variant, and unique gameplay. AWESOME ALERT!!! If you are in the Portland Oregon area (or willing to travel like we are! ), there is a Railways of the World Game Day event this coming Sunday July 31st, 1PM, at Rainy Day Games. Both the board game and card game verisons of Railways AND THEIR NEW EXPANSIONS (!!!) will be available to play, with the designers present and excited to teach, play, and socialize. We'll be there, you should too!! Are any of our readers train game fans? If so, which do you love and why? If you haven’t tried one yet but are interested in the genre or just looking for a fun new game to play, give Railways of the World Card Game a shot and let us know what you think! The Workshop: Princess of the Hill, Part Three! The creative gears are a-grindin' for the folks at Growing up Gamers! Angie and I are teaming up with our friend Julian of Cool Factor 5 on a big soon-to-be-revealed and super awesome fun project. 5-year old Katie just recruited programming talent to code her very own video game (yes, I am being serious... that girl has ambition!). Our two-year old son Jack is the only one not working on a game design, as far as I can tell... wait, scratch that... when I said that out loud he replied "No, I has a game project too! I own project" and its apparently involving a "beetle with a camera" (?). So in the midst of this, I decided to brush off Princess of the Hill and share the fun stuff I have simmering on the back burner. Since the original post, I have received a fair amount of feedback, both in comments and in drawings from my daughter. Since then, I have done a little more concept art and started working on the basic mechanics of attacking opponents. The Crown of Assorted Errands: Fit for a Princess who likes to soften up opponents from afar first, this Crown allows a Princess to make a Strike attack at range. 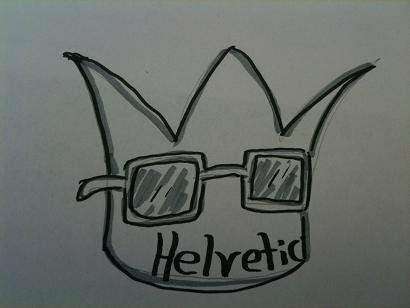 The Crown of Irony: This Crown was into rulership before rulership was cool, as the hipster Princess wearing this will. This Crown grants a +1 bonus to Drag attacks, as the one who wears this will certainly be a drag to hang around with. Scepterchucks, yo! : Scepterchucks... do they need further introduction? The joke may... it's a reference to 8-bit Theater. I haven't decided the exact effect of these, but I expect both keeping Strike cards played and granting +1 Strike. Louisville Scepter: When you absolutely gotta knock a princess out of the park, the Louisville Scepter is a good, solid choice. This one will grant a +2 Push. Additionally, there will be Scepter and Crown combinations called Regalia. WHen you have both pieces of the set, you will get a bonus. To make things simple, it will most likely just increase your draw valued by one, in addition to the individual effects of each item. These will most likely not be the only items, but we'll see. To counteract equipment, I'm thinking that some attack cards will have a Steal effect upon the resolution of the attack: some will steal on a success, and some will steal on a failure. Just to mix it up a little. Note the numbers; this will be where the defender ends up after a successful attack by the attacker. So that is a basic representation of combat. 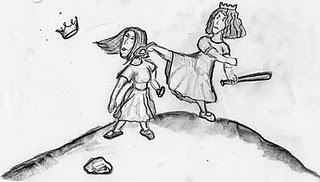 The examples I gave do not have other Princesses around that could be hit, nor Unicorn Poop to slip on, nor anything like a brick wall to suddenly arrest movement. We're not taking uphill/downhill into effect, either, nor are we worrying about facing (though the pieces in the examples have their front arcs marked. I'll get all that figured out in a rules mockup soon. Sound fun? I hope so! Okay, that's it. Anyone have any ideas to share? Quirky equipment ideas? I'd love to hear 'em! About a month ago (just before our vacation! ), we were lucky enough to receive a review copy of a clever little card game called Drop Site from Bellwether Games. 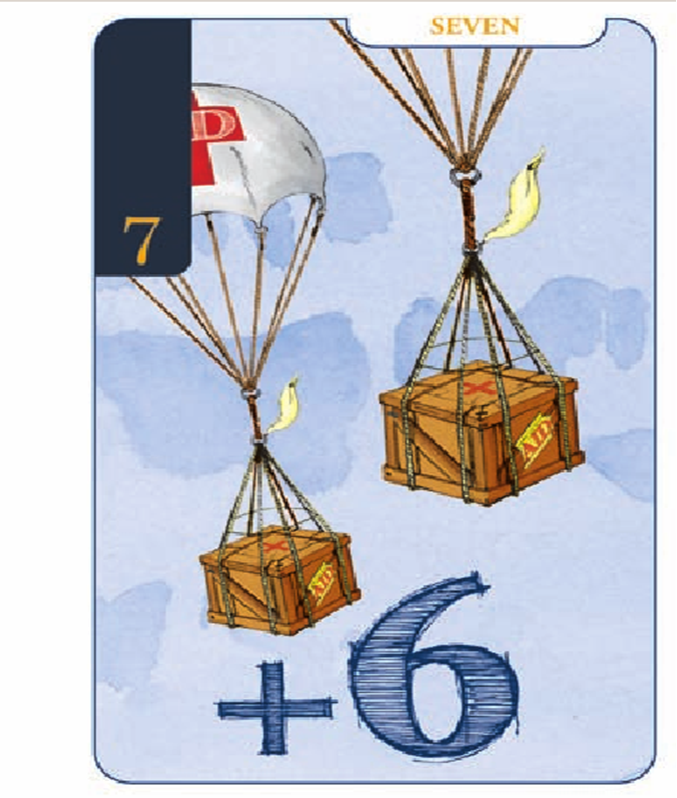 Drop Site is a game in which thematically you are attempting to coordinate your humanitarian aid efforts, sending supplies to those who need them throuhg air drops while communicating with ground forces to ensure a successful operation. Mechanically, this game is an interesting card game in which you are trying to line up the communal pile of cards to match your own secret pile. I'm not sure the theme and mechanics blend together super well, because the game plays quite competitively, whereas I somewhat expected by the theme that we'd cooperate a bit. However, I think Drop Site is a quick fun game with a lot of strategic value. The gameplay of Drop Site is relatively simple, but I've seen a lot of different strategic plays arise while playing. The cards each have a number value along the upper left side and a +points in the bottom middle. On your turn you may play a card into a communal pile (by playing lower than an existing number on the pile, or by starting a new pile). or you may play one of your cards into your debt (a personal face down pile). The round ends when a certain number of piles have been started, so there is always a tension about when another player might start a new pile and bring closer the end of the round. The goal is to have as many cards as possible from your debt match the top face-up cards in the communal piles when the round ends. You score points equal to the +points number on the card for each match, and lose a couple points for each card that doesn't match. Scores are kept from round to round and the goal is to reach 100 first. 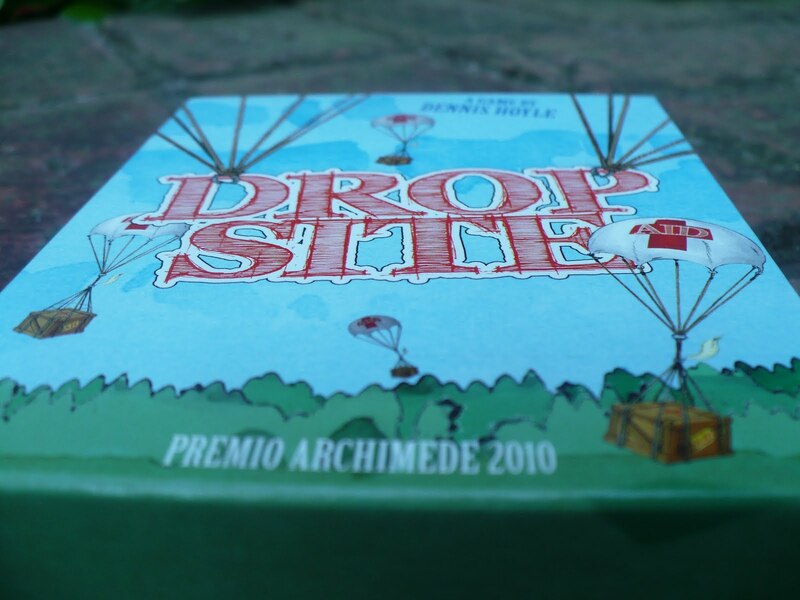 Drop Site is one of those elegant games with simple rules where the depth emerges throughout play. The first few hands of the game, players are often scratching their heads and trying to figure out how to play cards to their best advantage, and when to bank cards for potenital points. As the game progresses, strategies such as blocking another players moves, predicting your opponents plays and using them to your advantage, and deciding when to gamble all become relevant. To me, this is where this game comes to life! The player interaction and strategic planning makes this simple game into a rewarding, interactive, deeper-than-it-seems gameplay experience. Oh, one other thing I love about this game is that it is extremely protable and doesn't take much space or time to play, but gives a satisfying strategic feel. In the last few weeks, I've played this game sitting on the edge of my bed, at the park, and on a camping trip. Throw it in your bag/backpack/purse and you're set! Let's Get the Party (Kick)Started! I've recently been quite fascinated with Kickstarter. If you’re not familiar with Kickstarter, you should pop over and give it a look. Kickstarter is a really cool crowd-funding platform for creative projects, and I think its great how many new game designs are getting published because of it. Kickstarter provides a valuable service to game designers, publishers, and gamers alike. Designers and publishers can get the funding they need to get their games to market; and gamers can be in on the ground floor of exciting new games, helping to decide which projects they want to see happen and often gaining cool rewards, recognition, swag, and other benefits for their support. In addition to all of that, Kickstarter presents an interesting method for communication between the game’s creators and the players, allowing for comments and ideas to be integrated before a game prints. Some game creators offer supporters the ability to name things in the game, make choices about certain elements, and other fun interactions that really make you feel like you are part of the process. And of course as a supporter not only are you helping make a game come to life, you also are able to guarantee yourself a copy before anyone else. Many of the Kickstarer campaigns have exclusive bonuses or reduced rates on extra copies of the games for supporters, so it’s worth taking a look even If you are on a budget, every little bit helps. I’m mentioning Kickstarter because I think it’s something every gamer should know about. I’m also bringing it up now because we had the opportunity to play a prototype copy of a game that is up on Kickstarter right now, with 13 days to go at the time of this post. The game is called White Elephant Card Game, and is designed by Brian Kelley. This card game manages to be both a fun light game that recreates the experience of a white elephant gift party AND makes a particularly cute gift FOR a white elephant gift party. Double Whammy! The basic premise of the game is that you are a cheapskate who needs to pick up a few gifts for some friends and family for the holiday, but don’t want to spend any money… so you hatch up a plan to trade the junk in your attic for stuff the people on your list will like by attending several white elephant gift parties. Just in case you are wondering what it is all about, a white elephant gift party is a quirky gift exchange game in which everyone brings a wrapped gift (often a silly or weird item) and places it into a common pool. There are a lot of variations of the “rules”, but it usually involves people taking turns opening a gift, with each subsequent player having the ability to steal a previously opened gift or grab a new one from the pile. This game replicates that core idea well in a card game format. You are trying to grab cards with a high score in specific colors, and you do so by bringing gifts (placing a card face down on the table), opening presents (turning a card face up), and stealing them from other players (taking a card they’ve revealed and putting it in front of you). The game flows well, and the fun retro style art and zany oddball gift photos and description really help drive home the theme. After playing this game last night, we were discussing how funny it would be to stock up on a bunch of copies of this game and give it out at my family’s annual gift exchange party (which is similar to the white elephant exchange game described above, except we usually bring nice presents that people would like instead of junk from our attics!). Anyhow, we were discussing about how it would be interesting and amusing to give one each year and follow up with a few rounds of playing the game to extend the fun of the party. It seems like one of those perpetual gift items that could turn into quite a family tradition. Whoever ended up with the White Elephant Card Game would have a fun reminder of the event, and a neat little game to play as well… assuming they didn’t give it away at their next white elephant party. Even passing a single copy of the game around would make for a good holiday laugh. We're excited to show off our new logo! As a super secrect insight I'll tell you that the meeples represent each of the members of the Newnham family; Katie is of course the pink one, Jack-Jack loves orange, Angie always plays yellow, and Randy prefers red. And here's how you'll be able to recognize us on social media sites (facebook, twitter). These lovely new logos were created for us by our good friend Julian who just re-launched his blog, Cool Factor 5. Stop on by to check it out, I think he's got a really great system by which he is going to evaluate existing games and talk about new game designs and concepts. Fun stuff. We're working on some game design projects with him, so you might be able to get some exctiing previews from either site. Hello, readers! Miss us? We've been away on a family vacation. It was great, but we're glad to be back, too. I hope your summer is also full of fun and adventure. Speaking of adventure... today I'm looking at a cooperative game called Castle Panic by Fireside Games. The great people at Fireside provided us with a copy to review, and we wanted to share our playing experience with you! So let's start off with what it looks like, shall we? The art is nice, and consistent throughout. Components-wise, we have a standard sized game board and and various cardstock bits. There are castle walls and towers in the center with standees, and loads of wedge-shaped monster and event tokens (more on that later). Additionally, there is a deck of cards mostly consisting of warrior types in red, green and blue. This game is certainly a good deal when looking at the price of the game versus the components. The way the game plays is that monsters (trolls, orcs and goblins) are coming at the castle from all sides, seeking to tear down the walls and destroy the towers inside. The players are tasked with killing the monsters before they can accomplish this. The board is arrayed in a circle divided into three colored wedges, with each colored wedge containing two number sections (six total). 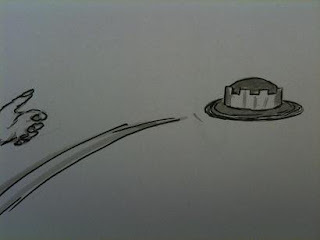 There are concentric circles around the castle, named by the warrior cards required to attack monsters in that ring. Players have hands of cards that are mostly warrior cards with a particular color, which they use to damage and kill the attacking hordes. The monsters are on wedge-shaped tiles, a clever design that has you rotate the creature to represent damage (for those that require multiple hits). At the end of each player's turn, more tiles are drawn and assigned randomly to a section, and move each turn. What I like about Castle Panic is that this is a cooperative game that gets it right. What do I mean by that? A good cooperative game should have a good balance of tension, and a meaningful array of choices. The rate that monsters are added in the standard difficulty (and the difficulty does scale- bonus!) certainly will keep you on your toes. As far as choices... you may trade cards with other players. There is indeed a balance to keep in mind... since there is also a competitive aspect to it. You see, if the players win, the player with the most monster kills is declared the Master Slayer. So there is also the consideration of whether of not you want to give another player the cards he needs to slay beasties if you want to be in the running for that title. So there are competing priorities that make the game interesting. While we're talking about positive aspects of the game, I want to note that it is also pretty kid-accessible. The age recommended on the box is 10 and up, but I would set that a little lower. Aside from the rules, there is very little reading involved. Some of the tiles do indeed have minor instructions, but I want to note that I played this a couple times with my five year old and had a blast. Granted, Katie is a bit advanced and needed help with the reading, but I wouldn't say she was exactly on a ten year old level with playing games. So long as an adult plays, I can easily see the under ten crowd having as good a time as my daughter, who absolutely loved it. With kids, I advise the "less panic" rules and a de-emphasis on the Monster Slayer title. My family likes this game. We thoroughly enjoyed checking this one out, and it is certainly great to add another cooperative game to the top shelf. The simplicity of this game's play makes it easy to teach, and the tension level seems well balanced so that no game will seem like pushover. Worth checking out! We'd like to thank Fireside Games for providing a copy to us for review. I hope you enjoyed the review! In the next couple days, tune in for our new logo! Our good friend Julian at Cool Factor 5 was kind enough to design a logo. He just relaunched his blog, and I think we can expect some great stuff in the near future over there. Check him out!